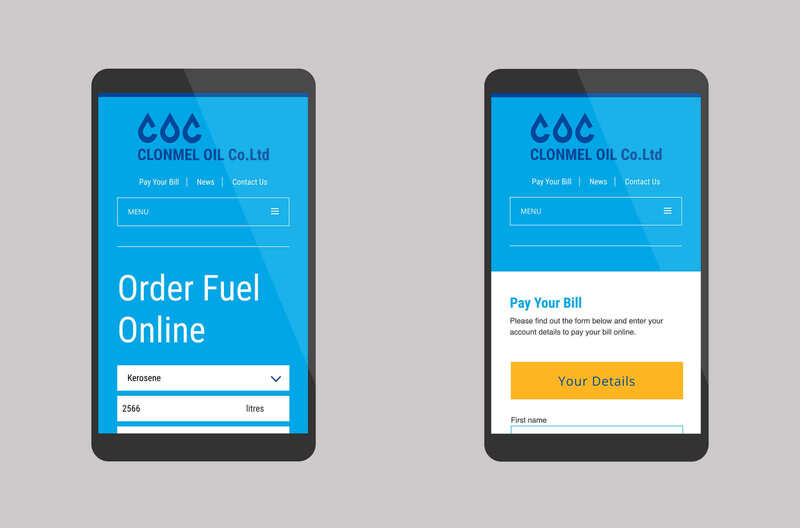 Clonmel Oil asked for a new site that would allow their customers to order and pay for fuel online. 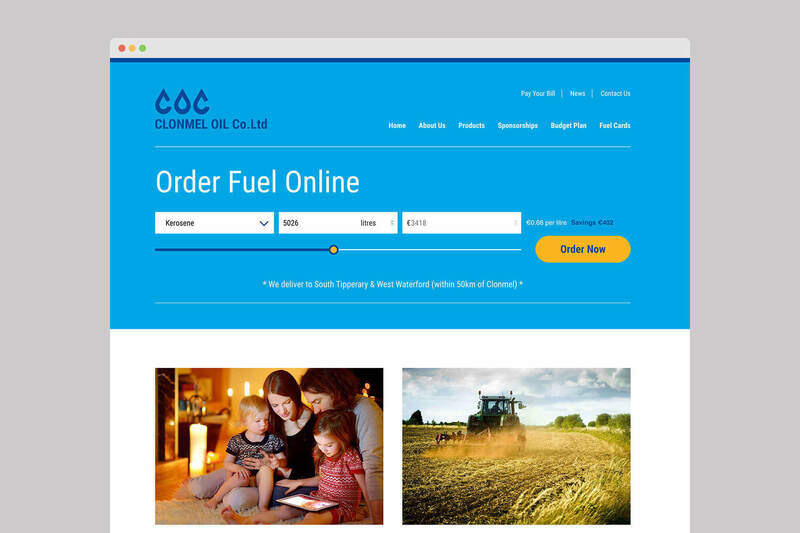 We designed and built a modern, clean looking site with an easy to use order form containing a moveable slider button that when moved left or right shows how much fuel you are ordering and at what price, along with this it also shows you how much you will save as your order increases. 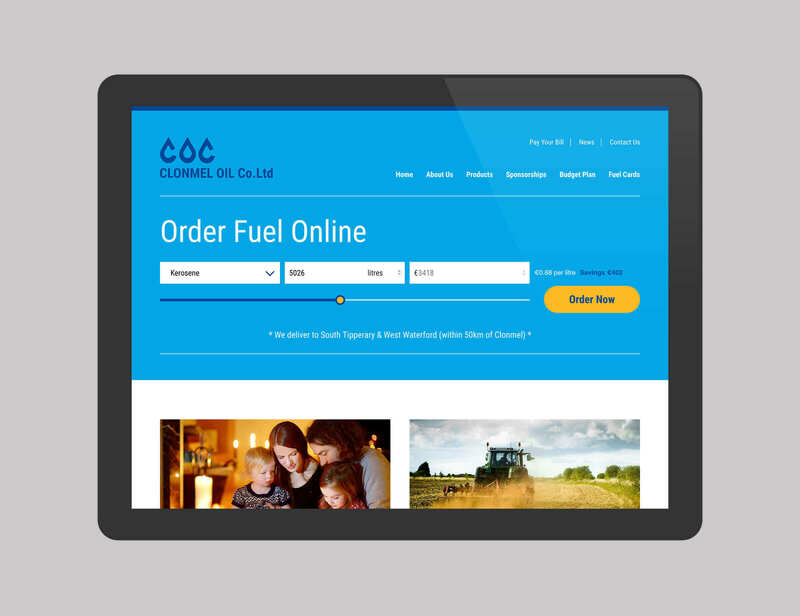 The site is also responsive allowing their customers to order from their mobile devises. 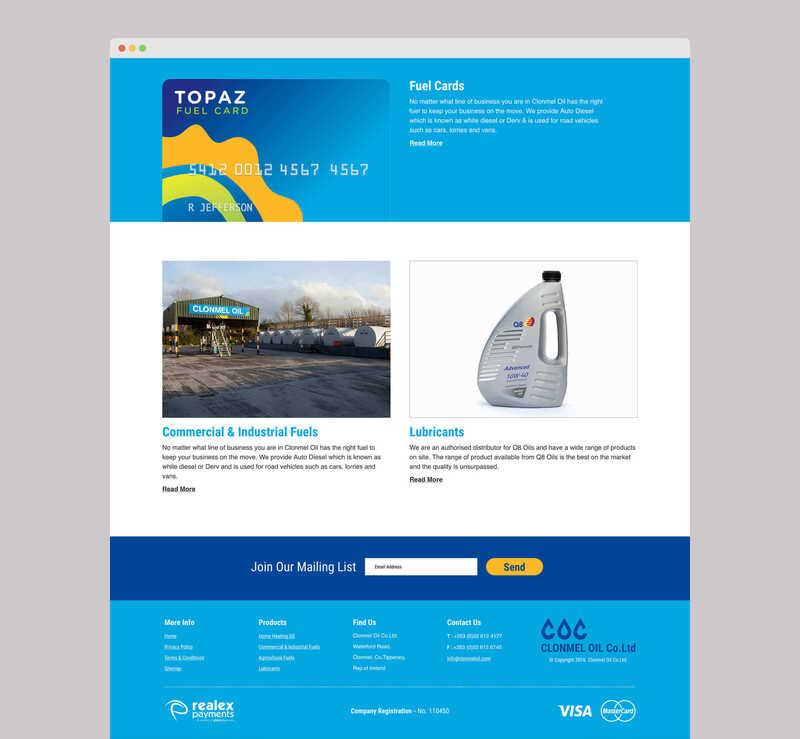 If you would like to discuss a design project. © 2019. Shine Box Design. All Rights Reserved. 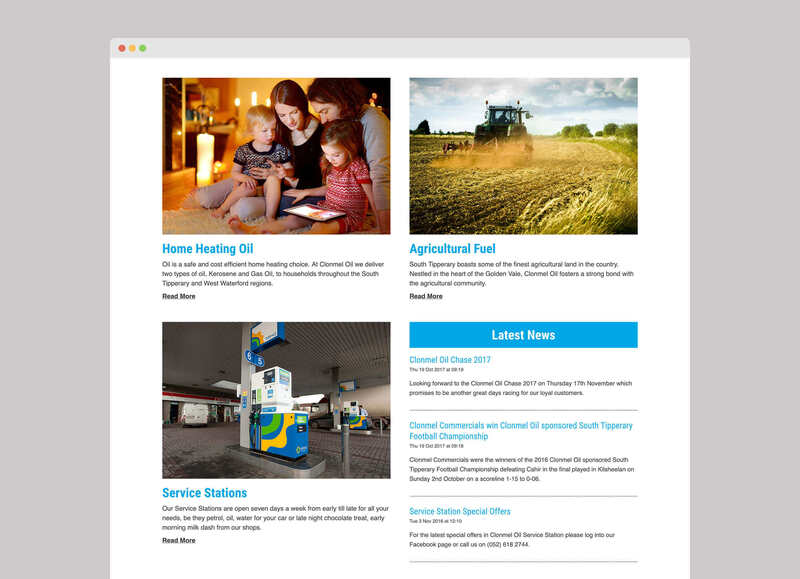 design@shinebox.ie | (087) 947 2814 | 15 Cranmer Place, Ballsbridge, Dublin 4.